Shoaib Akhtar burst onto the big stage in the 1999 World Cup with a long, hurtling run-up and blistering speed. His star status was sealed by a great flop of hair, a talent for show-boating and a vivid nickname - the Rawalpindi Express. But it was too much, too young. A huge ego and his blind aim to break the 100mph barrier seemed to matter more to him than cementing his place in the Pakistan side, and in November 2006, he copped a two-year ban for using the banned substance, Nandrolone, but he was reprieved on appeal to the undisguised disgust of international drugs agencies.he channelled his massive resources far better in 2002, turning in two of the most blistering bowling efforts of the year, both against Australia. First, he blitzed them with a spell of 5 for 25 in a one-dayer at Brisbane, and then returned 5 for 21 in a impressive performance in Colombo that all but won the Test. The 2003 World Cup was far more unacceptable, though. He promised much, but came a cropper, particularly in the needle encounter against Sachin Tendulkar. Dropped after the World Cup, Shoaib roared back to form on the tour to New Zealand, but soon after came a forgettable - and controversial - series against India.Shoaib was not picked to represent Pakistan in the Abu Dhabi series against Sri Lanka and was dropped from the Asian squad for the Afro-Asia Cup after being initially selected. He, however, was named in Pakistan's squad for a brief tour of Scotland as well as the squad for the inaugural ICC World Twenty20 in September 2007. 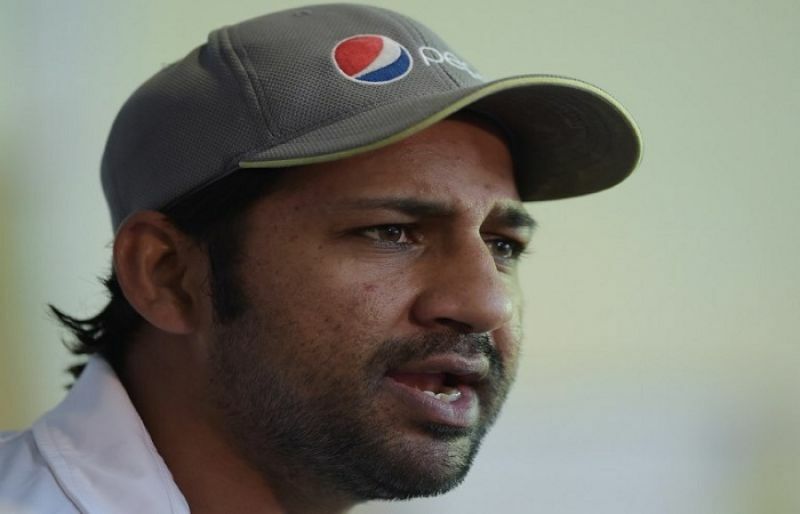 However, a dressing room bust-up with fellow paceman Mohammad Asif resulted in Shoaib being sent back home before the tournament even started, and he was banned the following April for five years. After a brief stint with the Kolkata Knight Riders in the IPL Find Shoaib Akhtar profile and stats of batting, bowling and fielding including latest updated news of Shoaib Akhtar, videos and images at Hamariweb.com. 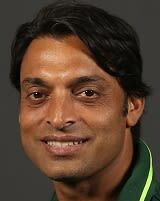 Also find detail Player profile and career statistics of Shoaib Akhtar of Pakistan. Shoaib Akhtar's statement against the Sarfraz Ahmed at this stage when he is not in great form is quite unexpected, former players should have to support the captain of Pakistan and motivate him to regain his form. His star status was sealed by a great flop of hair, a talent for show-boating and a vivid nickname - the Rawalpindi Express. But it was too much, too young. Shoaib bhai mai apka boht bara fan hn kasm sy ap jesa bowler mai ny kbi nai dekha kash ap 2015 ka world cup khel lety to ruzalt kuch aur hota. Shoaib Akhtar makes many records with his fast bowling, his maximum speed was 102.2 mph which is still unbreakable. Pakistan cricket board should make Shoaib Akhtar as a bowling coach of Pakistan junior team because he is the only man who can search a fast bowling talent in all over Pakistan. Shoaib Akhtar a true legend he performance really good when he was playing. and know he is doing very good job on tv shows. 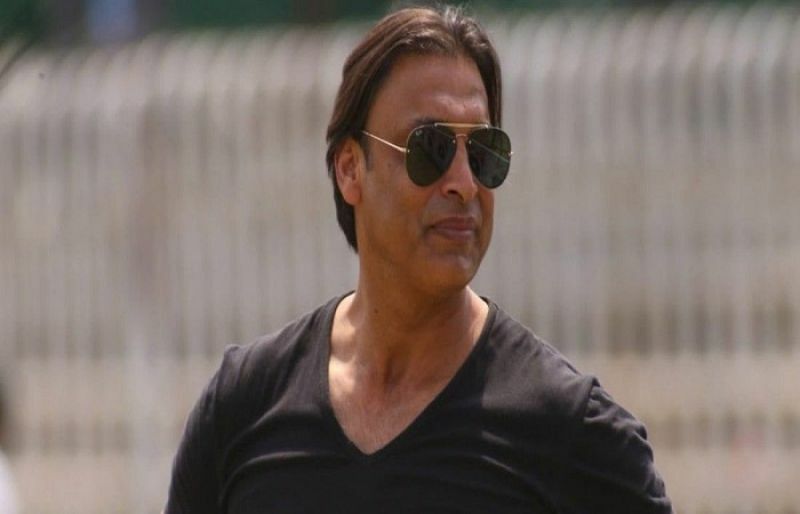 Shoaib Akhtar - Find Shoaib Akhtar of Pakistan Cricket Team complete player profile, number of matches, runs score, wickets & catches, Statistics, Records, Shoaib Akhtar Latest News, Shoaib Akhtar Videos, Shoaib Akhtar Photos, and other Shoaib Akhtar Cricket Team players.